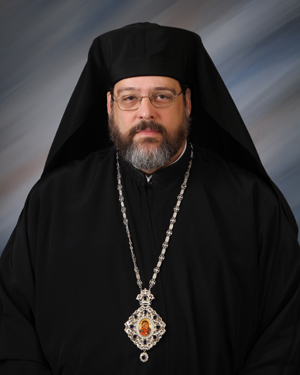 His Eminence, Metropolitan Gregory was consecrated as Bishop and enthroned as the Ruling Hierarch of the American Carpatho-Russian Orthodox Diocese of the USA on November 27, 2012. In 2018 he was elevated from Bishop to Metropolitan. Rev. Fr. Dave Urban has served St. John's Parish since 2015. He was ordained as deacon in March of 2015 and as priest in May 2015 by His Grace, Bishop Gregory of the American Carpatho-Russian Orthodox Diocese of the U.S.A. In addition to serving as Pastor of St. John's Fr. Dave serves as Treasurer for the Pittsburgh Clergy Brotherhood. Fr. Dave and Pańi Alexandra are the parents of twin daughters, Maria and Sophia.